Home / Market Insight, Financial Articles / Aurora Cannabis IPO: What Can Investors Expect? Aurora Cannabis IPO: What Can Investors Expect? The Canadian cannabis operator plans to list its shares on the NYSE in late October. The timing looks pretty good for Aurora Cannabis (OTCMKTS:ACBFF), which is a top Canadian cannabis operator. This week, Canada will legalize marijuana for recreational purposes. Then later in the month, Aurora Cannabis stock will be listed on the New York Stock Exchange. So might we see a replay of the red-hot offering of Tilray (NASDAQ:TLRY)? Not necessarily. Keep in mind that the ACBFF stock will not involve a traditional IPO process. That is, there will not be any underwriters that will manage the deal. Rather, the listing of ACBFF stock will require various approvals and paperwork requirements. Once completed, the shares will begin trading on the NYSE. Note that this is how Canopy Growth (NYSE:CGC) got on the exchange. Yet there will certainly be benefits for ACBFF stock. The company will get the credibility of being a member of the prestigious exchange. What’s more, ACBFF stock will get more exposure and liquidity, which should help provide better access to capital. Something else: Whenever there is the emergence of a new market, the first companies to list on major exchanges are usually the industry leaders. And yes, this is the case with ACBFF. During the latest quarter, revenues soared by 223% to $14.83 and there was also a profit (although, this is likely to be temporary as the company continues to invest heavily in its growth). A key part of the growth strategy for ACBFF has been an aggressive focus on M&A — might as well take advantage of the hefty market cap, right? Definitely. During fiscal 2018, ACBFF has pulled off 11 acquisitions. They have bolstered the product line as well as the production capacity. Consider that there are currently two fully operational facilities. The company has also received a license for 100,000+ kgpa facility and there is a joint venture in Denmark to build the largest facility in Europe, with 1 million sq. ft. In fact, ACBFF has been doubling down on the European opportunity. 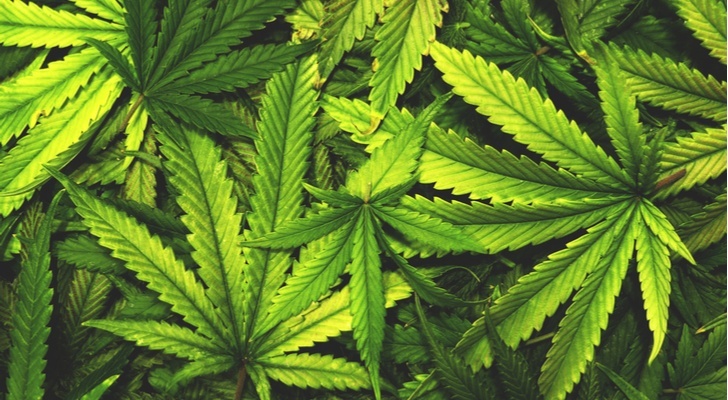 One of its business units, Aurora Deutschland GmbH, is the largest distributor of cannabis. Note that the company is one of the few licensed cannabis producers that has an E.U. GMP certification for imports, releases and distribution. Aurora believes that market opportunity is more than 400 million people in Europe. Even though Aurora is a top player in the cannabis industry, there are still some nagging risk factors. First of all, the torrid M&A strategy could lead to integration problems. Let’s face it, just doing a few deals in a year can be tough — much less 11! Keep in mind that Aurora decided not to list its shares earlier in the year because of the need to focus on the dealmaking. Next, the legal situation is far from certain. In the U.S., there is mostly a patchwork of various states that have agreed to legalize cannabis for recreational purposes. But how will it expand, and how long will this process take? It’s tough to tell. And the same goes for international markets. All this could ultimately be a problem for the growth story for ACBFF stock. After all, the valuation is already factoring in the best-case scenario as the shares trade at a nose-bleed 260 times revenues. In light of this, it would not be a surprise that there will be a glut of new listings and IPOs that hit the markets in the coming months. This will likely weigh on the valuations as investor demand will be soaked up. Now in the short-run, such things will probably not matter too much, though. With the legalization in Canada and the listing on the NYSE, ACBFF stock will probably remain in the bull phase. But for investors, it’s probably best not to hold on for too long. Article printed from InvestorPlace Media, https://investorplace.com/2018/10/aurora-cannabis-ipo-what-can-investors-expect/.